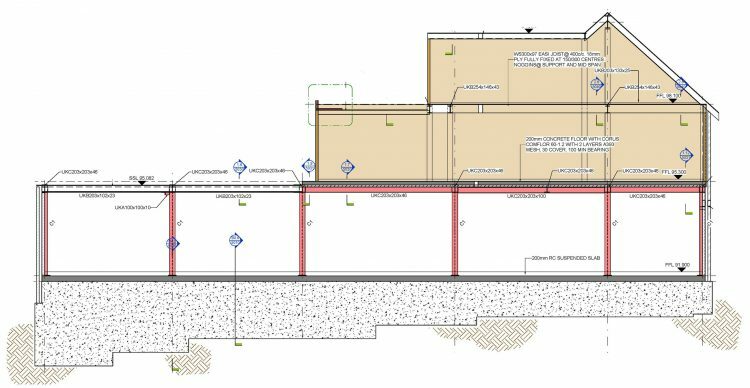 An existing car sales premises with dilapidated outbuildings will be demolished to make way for a new retail unit 400m2 at ground floor and four residential units of 100m2 each above. 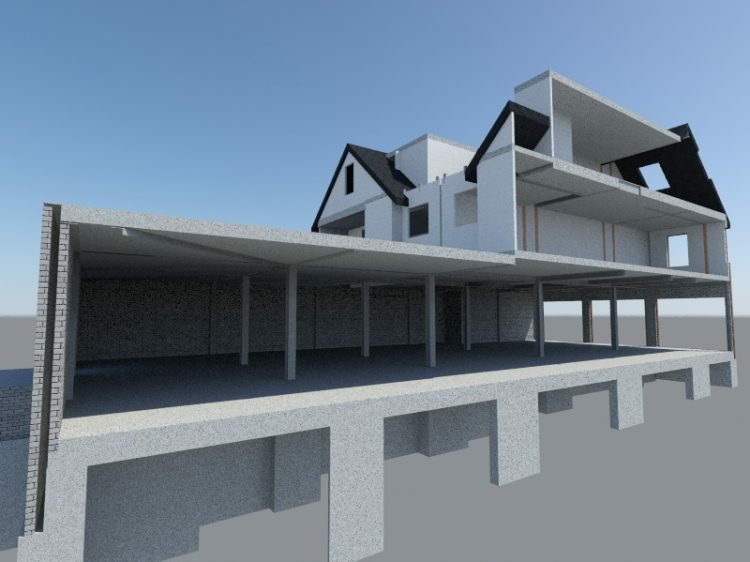 The retail space will be built with a series of portalised steel frames so the stability of the building will be provided by moment connections between the columns and beams, avoiding the need of cross bracing. At preliminary design stage, RISE were considering two options for the retail unit. One with a free column space following the client request and the other with internal columns. 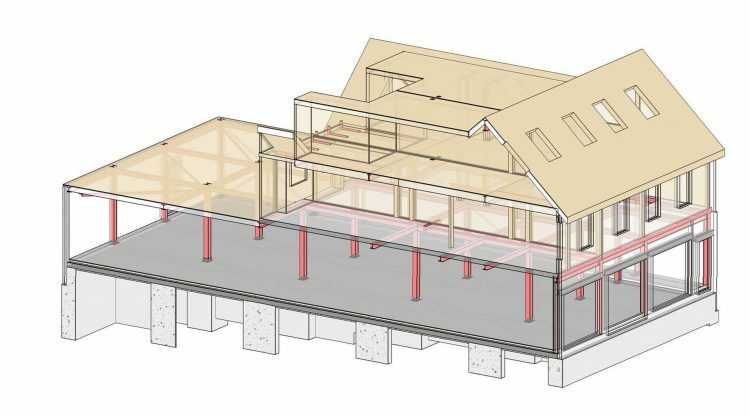 For the column free space, the beams were considerably bigger to span the full width of the retail and support the flats above. This option became cost prohibitive so the client agreed on internal columns. RISE coordinated the location of columns with the shelving, to minimize their impact on the retail unit. Above this, the residential units will be covering half of the retail area on two storeys. Timber will be used to reduce the weight to the structure below. 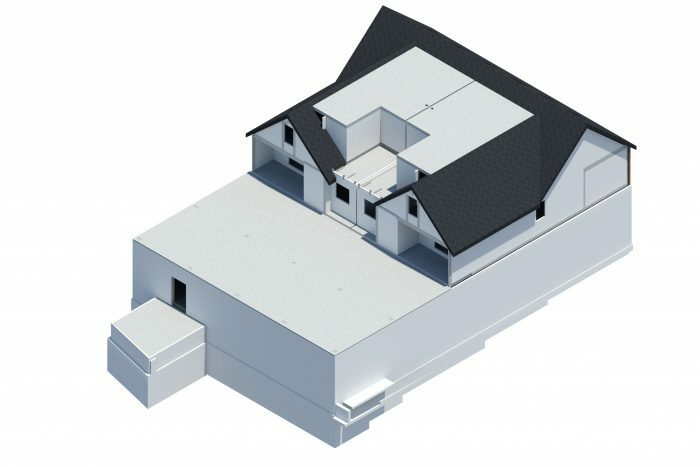 The other half will be covered with a flat roof supporting solar panels.